Size Available : 100 x 100mm, 200 x 200mm. “Safety First - if this is your concern then you are on the right site. 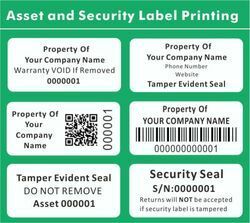 Our safety labels are manufactured using various materials like vinyl, polycarbonate, polyester, aluminum and steel. ESD Sign Sticker offered come developed from premium grade vinyl material. We are into the manufacturing of panel board stickers which are well received in the industry circles for their flawless features. These panel board stickers are widely used in electrical panel, gensets, machinery and many others. safety stickers for Hi-power equipment. Indra Glowtech presents a new concept in the field of safety, “Floor Safety Sticker. These stickers are mostly used in working areas where there is uneven floor. They are mostly used at the differentiating levels. These are made either in auto glow or normal vinyl. They are useful to avoid fumbling of the people working in these areas. These stickers are mostly used in bright colors. 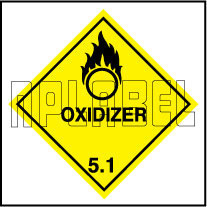 We offer to our clients a qualitative range of Chemical sticker. It is efficient to maximize spreading and stickiness of pesticide to the surface of leaves. Usage/Application: Can Be Used On A Variety Of Surfaces Like Painted Wood, Plastic, Metal, Steel And Glass.